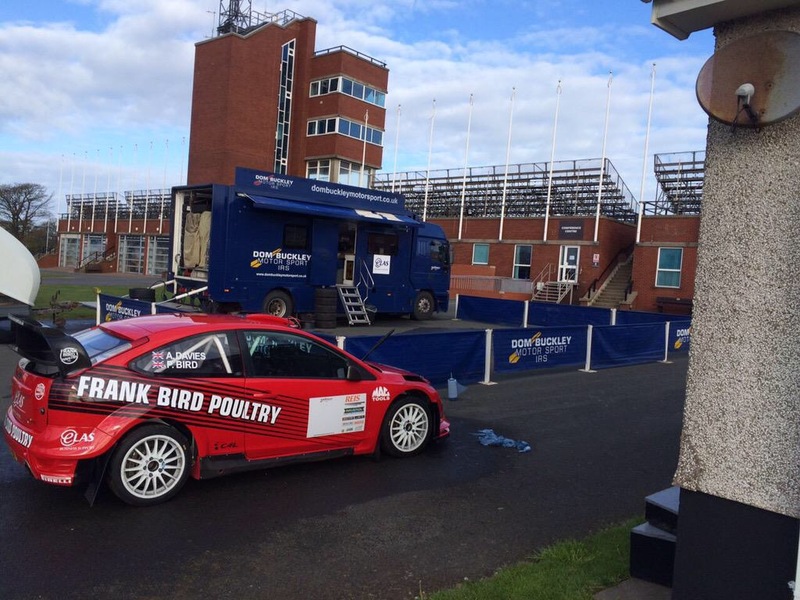 Paul Bird headed to this years Manx National Rally looking for revenge from the previous year. Whilst in the lead by over 2 minutes Bird rolled his Ford Focus WRC heavily out of the rally. The rally began on Friday night with some night stages. These stages are made even more difficult by the rain and fog that spreads across the island. Bird wasn’t hanging around and it didn’t take him long to get back into driving the car on tarmac. After Leg 1 he had opened up a lead of 21 seconds over last years winner Jason Pritchard. 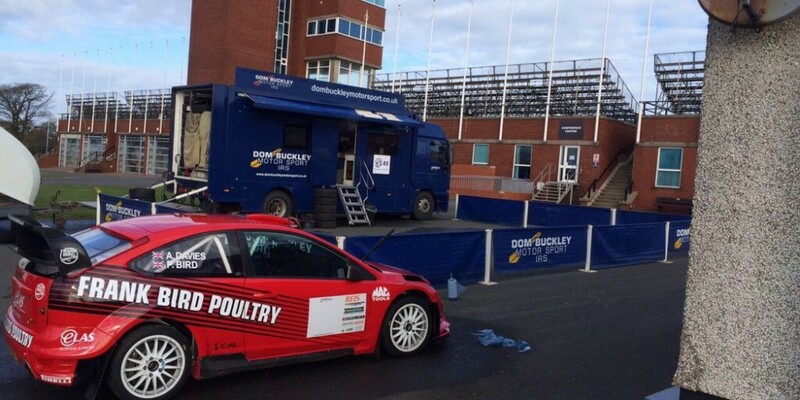 Paul Bird’s Ford Focus WRC and The Dom Buckley Mototsport Service Unit. Saturday was a bit drier but the times still had the same look about them. Bird was in full control of the rally. He set fastest time on 3 of the first 4 stages of the day. On the second run though the 16 mile Cringle stage Bird picked up a puncture. By the time they could find a suitable place to stop and change it Bird decided too much time had been lost and the retired.